ABOUT: ScriptShaala offers 360 degree services for online marketing of your brand/business. Core areas: Social Media, SEO, Adwords, Content Strategy, Copywriting. Engagement Models: Consultation, Training, Workshops, Mentoring. 80% of Startups Fail. Does it mean the rest of them, the 20%, never failed? No. It just means that the startups that survived and thrived had founders who understood the real nature of failing, that failing is just a part of the process to succeed. They knew, or learnt, how to not just cope with mistakes and fails, but also use the experience as a strength. They figured out how to leverage failing, rather than letting it weigh them down. Failcon is an international conference that celebrates just this fact. It is a conference for startup founders to study their own and others' failures and prepare for success. Time to give failure a makeover? The people involved in Failcon believe that it's time failure is given its due credit. In a world that it totally enamored by success and constant repetition and references to success stories, it's no wonder that failure is a taboo topic. The founders of Failcon are hoping to change that, to quote them, one city at a time. This unique concept took roots in the year 2009, in the city of San Francisco. The objective? To provide guidance and safe spaces for failure. FailCon is conducted in 6 continents and over a dozen cities around the world, including San Francisco, Barcelona, Tokyo, Dubai, Tehran, Porto Alegre and Toulouse. There's a reason Bangalore is called the Silicon Valley of India. Not only does Bangalore boast of a huge number of software companies, it also has a robust, active startup ecosystem, the biggest in India. Naturally, its the ideal location for providing a forum to discuss failure and ways to deal with it. To stop fearing failing, and to focus on methods and the right attitude to deal with fails. The wise learn from others mistakes, and it's a great place to listen to others' stories, so you can not only avoid making the same mistakes, but also take away the coping strategies and learnings. It's a one day conference for technology entrepreneurs, investors, developers and designers. Participants come from various parts of India. It's a great opportunity to network, pitch or brainstorm your ideas, or perhaps find your ideal co-founder. 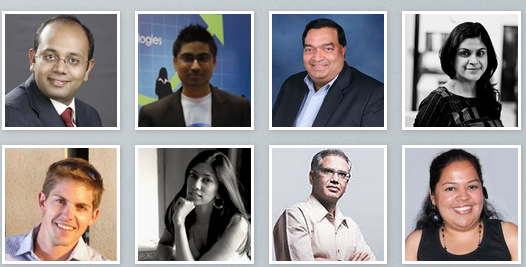 Failcon 2014 has a very interesting line up of speakers and startup founders. Ravi Gururaj is a serial entrepreneur and angel investor building and investing in innovative software products primarily in the cloud, mobile, and big data segments. MoveInSync has recently raised a little above $2 million in its Series A funding. MoveInSync's solutions power more than 3,000 cabs - provide pickup and drop to 30,000+ users across 7 Indian cities. Author of the bestseller 'Why I Failed'- India's first and definitive book that analyses failure in the Indian context. Pallav is the co-founder and CEO of FusionCharts. He started FusionCharts at the age of 17 to make pocket money. Today, FusionCharts has over 21,000 customers and 500,000 users in 118 countries. Named one of India’s most promising start-ups for 2014, ZoomCar is a self-drive car rental company. Very few believed that the concept would succeed, especially in a market like India. However, ZoomCar now operates from more than 25 different locations around Bangalore, as well as new sites in Pune, with ever-growing popularity and demand. Lakshmi Rebecca, Filmmaker and Host of "Chai with Lakshmi"
Lakshmi runs India’s first award-winning Indian online talk show called ‘Chai with Lakshmi’ and is the founder of Red Bangle, a film production house in Bangalore. She is also the brain behind the new Youtube series ‘India Ahead’. Lakshmi’s talk show has had a viewership of nearly 3 million on a zero marketing budget. R.K.Misra was adjudged the winner of the prestigious 'Lead India' campaign conducted by The Times of India in 2008. He is also an entrepreneur founding Tenet Technologies, Tenet Telecom & Tenet Retail with business spanning US, Europe and Japan. Need help with online marketing? Get in touch! Liked what you read? Like on FB or +1 on G+. Startup Inspiration: Arnab Kanti Mishra's Journey from IIT to Film Making. Is your online marketing falling prey to ADD ? Playing Guitar Like a Sitar, Remo Rocks Bengaluru. All rights reserved by www.scriptshaala.com. Simple theme. Theme images by centauria. Powered by Blogger.